Only the best quality Beverage & Winemaking Yeast Products from AEB and CHR Hansen. 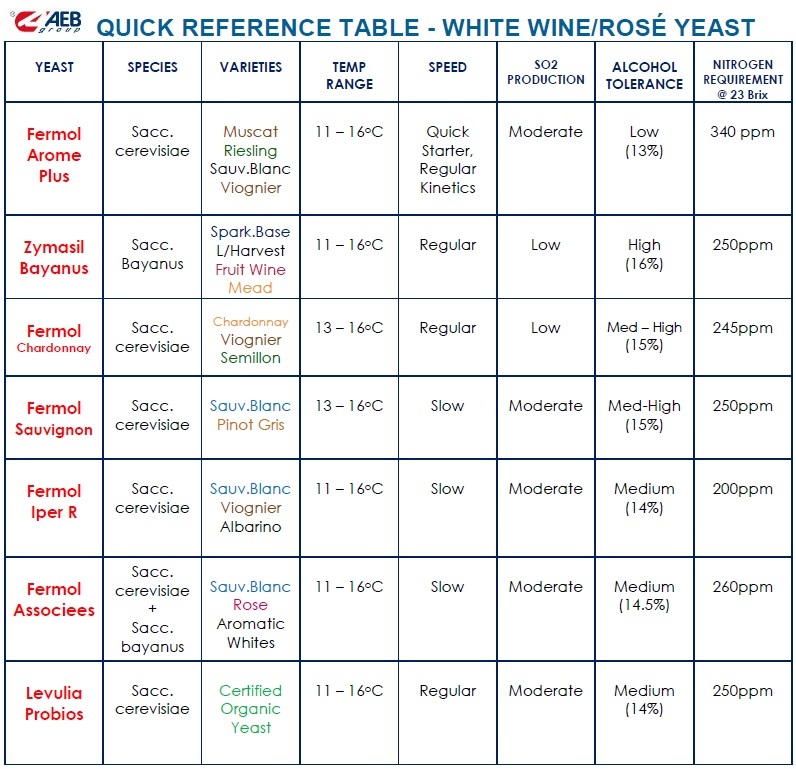 Yeast applications for all types and styles of wine. Choosing the right yeast to create quality. The yeast is the main character of alcoholic fermentation, which is really one of the most important stages of the whole winemaking process. The choice of the yeast can not be done at random but has to be carried out carefully, following consistent and reliable data. Pascal Biotech, a company belonging to the AEB Group and specialized biotechnologies for winemaking, carefully controls each stage of the yeast selection and production process, in order to be able to give solid answers, suitable to the complex needs of the oenological world. 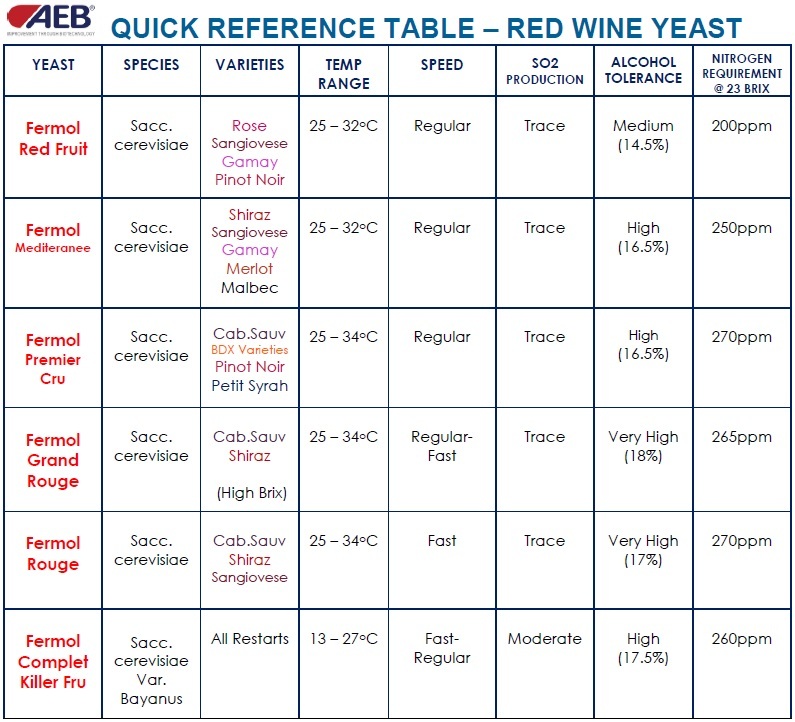 AEB Yeast Selection Chart – Yeast Products – Winemaking. 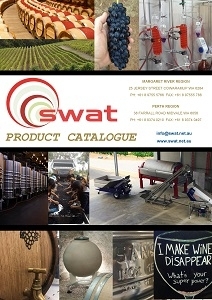 (Note: not all AEB yeast products are currently available from SWAT). Discover the new frontier in yeasts, and make wines that have this distinctive natural, wild touch. Chr. Hansen was the first company to investigate the promising field of ‘non-Saccharomyces cerevisiae’ species in winemaking. Our products are the result of careful and patient work, performed by our wine research team, to study the population of yeasts present in wine grape juices and musts and select the best of them. 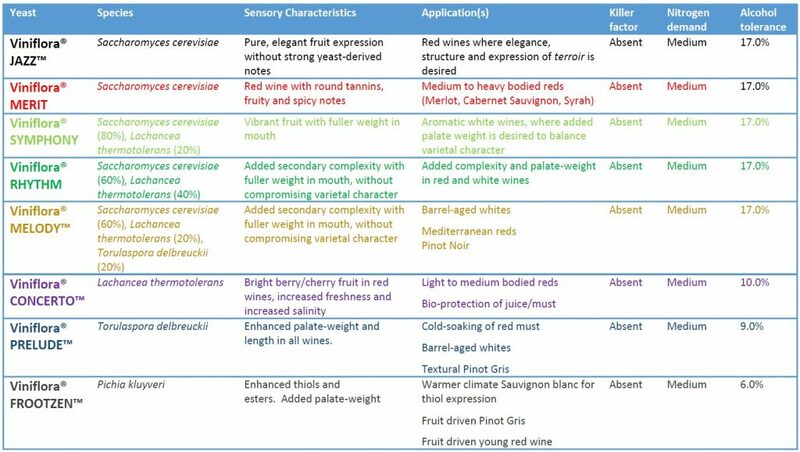 The idea is quite simple, knowing that wines that have been through a wild alcoholic fermentation offer a higher complexity, both in mouthfeel and flavours, how to give winemakers new, innovative tools for ‘wild alcoholic fermentations’ in secure and controlled conditions. Please contact Chr. Hansen PL customer service for the latest product documentation or visit the CHR HANSEN WEBSITE.